Oh! Wow! I’d be very excited to see one of those! Beautiful birds. What a treat to have them in our backyard. They’re such beautiful birds, what a treat to see them in your garden Laurie! Cardinals are beautiful, and we’ve only had them in our backyard for the past six years or so. Once a southern bird, cardinals are steadily moving north. One theory is that it’s because of the increase in backyard bird feeding. Also, perhaps global warming. Whatever the reason, I am glad they are here. So do I! We’ve only had them in our backyard for five or six years. Is he singing his spring song yet? 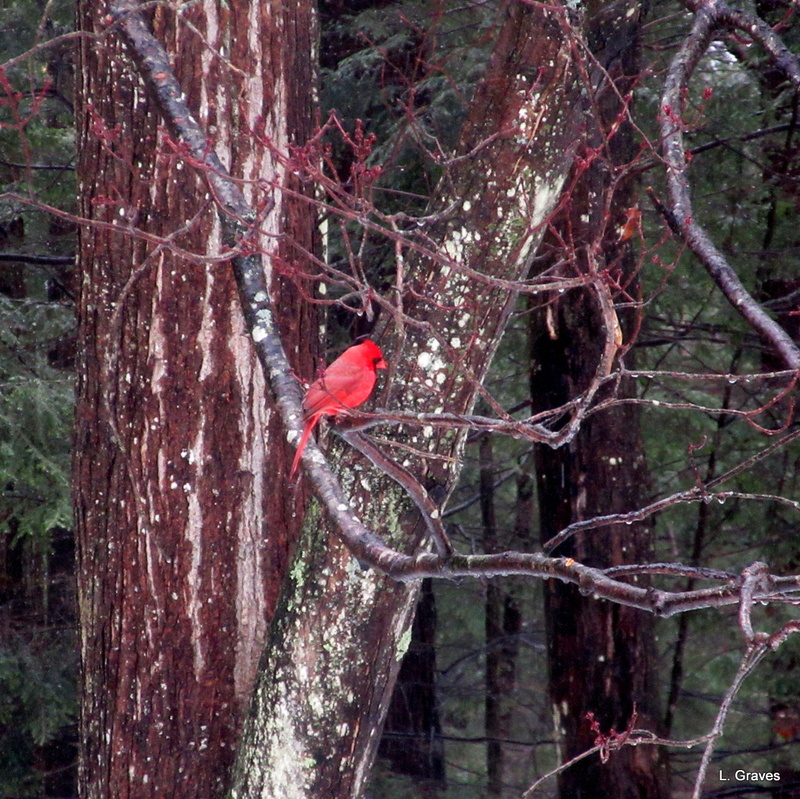 Even on the gloomiest days, a cardinal can make it feel like spring. He is and what a sweet sound. The best! Add a little sunshine and it hardly matters that it’s below freezing. What a gorgeous bird…I hope it is a signal that spring is coming. Lucky Laurie! Such a pretty bird to have in your yard!